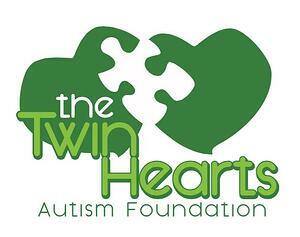 Houston, TX and Oak Forest, IL - June 1, 2018 - AcctTwo, a leading consulting firm and provider of cloud-based financial management solutions and managed accounting services, announced that the firm will be a Gold Sponsor at the 9th Annual Twin Hearts Autism Foundation Benefit & Golf Outing on June 1st at the Water's Edge Golf Club and Gaelic Park near Chicago. The Twin Hearts Autism Foundation's mission is to enrich the lives of children and adults with autism and other special needs by raising funds that will go to support individuals, organizations, schools, scholarships, and family events related to the autism and special needs communities. The event will begin with a golf tournament at Water's Edge Golf Club in Worth. A benefit dinner will follow at Gaelic Park in Oak Forest, which will include live music, a silent auction, raffle prizes and more. AcctTwo is dedicated to providing powerful cloud-based financial management solutions and managed accounting services to the nonprofit industry. The firm is proud to play a part in supporting Twin Hearts and their efforts to raise funds that will go to benefit individuals with autism and their families. To donate to Twin Hearts and the other organizations they serve, please follow this link: http://twinhearts.org/donate-now/. AcctTwo is a leading consulting firm and reseller of cloud-based accounting, ERP, Financial Planning & Analysis (FP&A), and Corporate Performance Management (CPM) software. Our sophisticated systems solve the issues growing middle market companies and nonprofit organizations face today. AcctTwo also provides Managed Accounting Services (MAS), allowing clients to focus on the core competencies of their business. We provide the people, processes, technology, and office facilities to perform these functions, while allowing clients to collaborate interactively through an on-line portal.